Sometimes simple is the best, especially when it involves fresh vegetables. This is one of those recipes. Nothing spectacular, just a simple, easy meal. 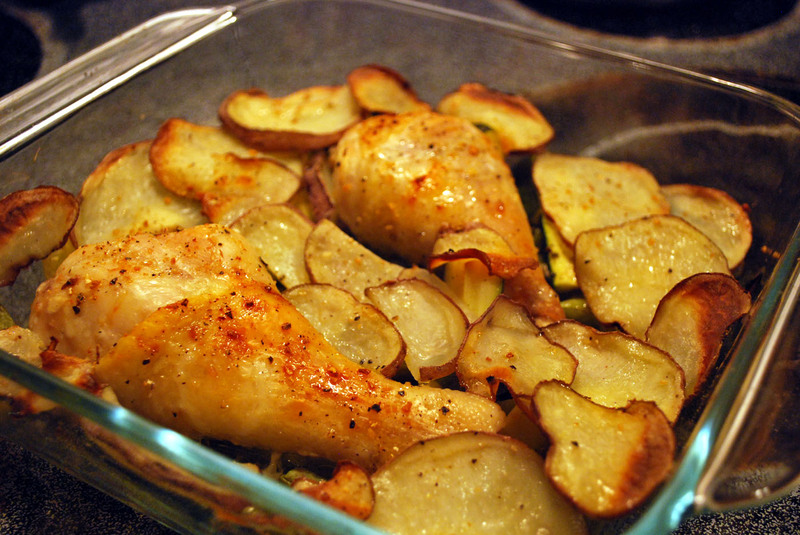 All of the main ingredients are either from the Farmer’s Market (zucchini & beans) or could be from the Farmer’s Market given the right time period (chicken & potatoes). 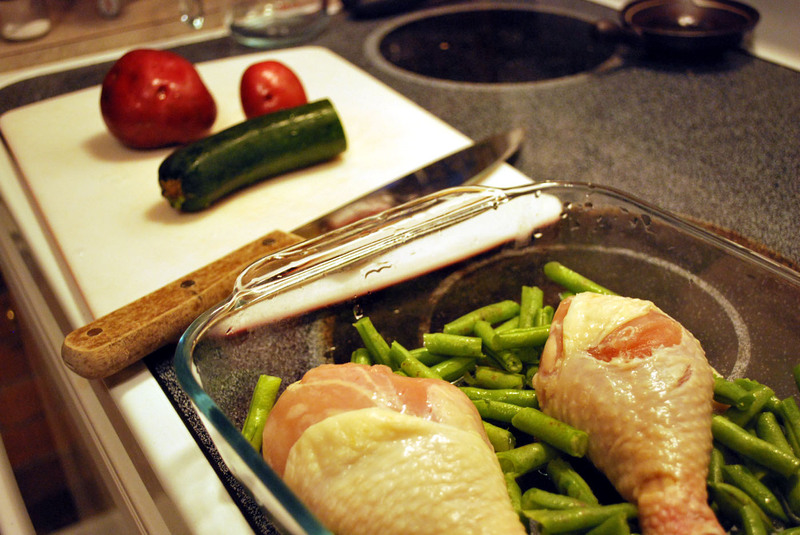 Place thawed and rinsed chicken legs in a baking dish. Snap beans & chop zucchini. Fill in around the chicken. Sprinkle with lemon pepper. 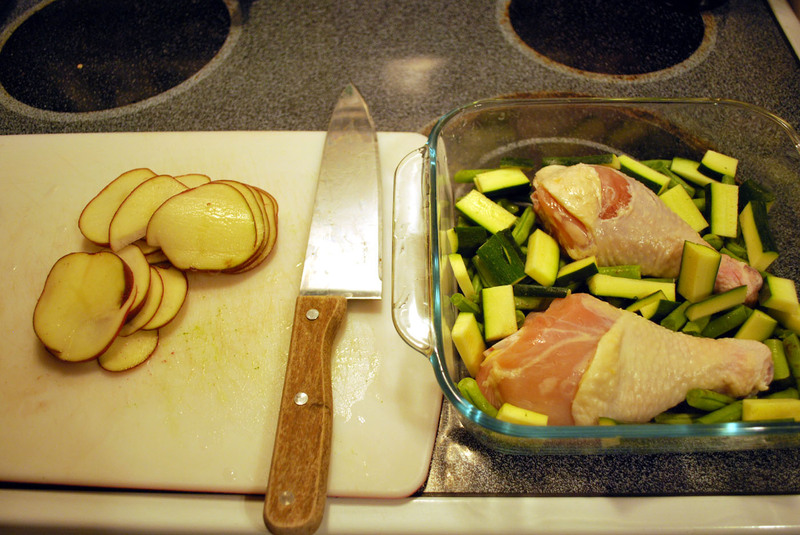 Thinly slice potato and lay out over the other vegetables. Heat butter and oil to a liquid and pour evenly over the potatoes. Sprinkle with lemon pepper. 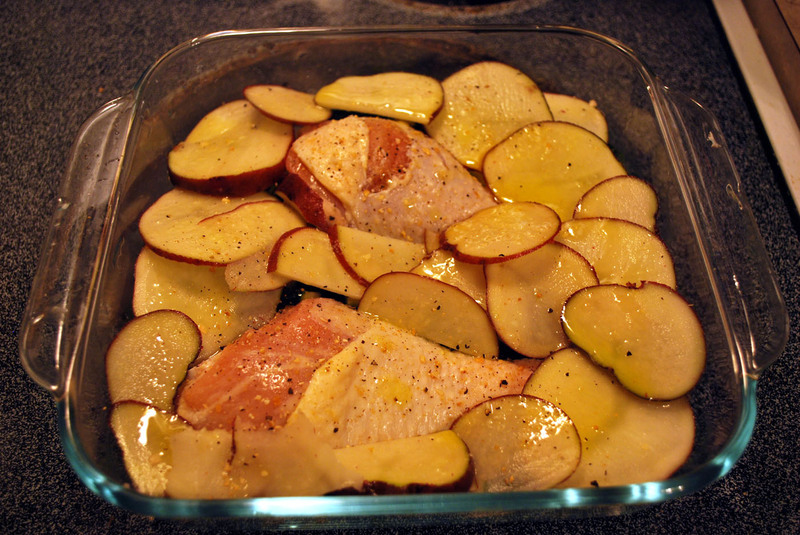 Bake for 45 minutes or until the chicken and potatoes are nicely browned. Wow, that looks so good. Sometimes the simplest meals are the best.